PICO RIVERA — A man was shot to death early Thursday in a residential neighborhood, authorities said. Sgt. Don Walls of the Los Angeles County Sheriff’s Homicide Bureau said he appeared to be a Latino man in his late 20s, though his identity was not immediately known. The shooting was reported about 3:45 a.m. on Amistad Avenue, just east of Woodford Street, the sergeant said. Investigators were left with few clues at the scene, and no witnesses reported seeing what happened. “Residents heard a (single) shot,” Walls said. They looked outside to find the victim collapsed at the corner of Amistad and Woodford. A motive in the slaying was not clear, Walls said, however investigators were looking into the possibility of it being gang-related. LOS ANGELES — A jury convicted an 87-year-old man Wednesday of murdering his wife with a hatchet and attacking her son at the couple’s home in an unincorporated county area near Pasadena, officials said. Jurors also found true the special allegation that Lu personally used a deadly weapon — a hatchet — in the crimes, officials said. LOS ANGELES — A hearing in the case of a teenage girl and her 22-year-old boyfriend charged with stabbing the girl’s grandparents to death in their Rosemead home was continued Wednesday, authorities said. Sophia Janalisa Cristo and Rodolfo Lopez are accused of murdering Jack Bezner, 71, and his wife, Susan, 64, on Aug. 9, 2010. They were scheduled for their second arraignment Wednesday in Los Angeles Superior Court, however the hearing was postponed until Sept. 7, court officials said. At an arraignment, the charges are read and the defendants asked to enter a plea. Defendants generally get two arraignments — one shortly after arrest and another as the case moves toward trial. The Bezners were found stabbed to death in their bed in the 4200 block of Arica Avenue. A motive in the crime has not been released. Cristo, then-14, and Lopez, then-21, were found and arrested in Texas, where the Bezners SUV was recovered. In addition to the killings, they’ve both been accused of the special allegations of multiple murder and personally using a knife in the crime. Cristo is not eligible for the death penalty because of her age. Prosecutors have not yet decided whether to seek the death penalty for Lopez. DUARTE — Sheriff’s officials and concerned family members asked the public’s help Wednesday in finding a missing Duarte woman. Patricia Nelson, 66, lives on Huntington Drive in Duarte, suffers from moderate dementia and is being treated for cancer, Los Angeles County sheriff’s officials said in a written statement. She was last seen at her home about 6:15 a.m. Tuesday. Nelson is 5 feet 2 inches tall, about 123 pounds, with black hair and brown eyes, officials said. She may be wearing a hat and a sweater. Anyone with information is asked to call the detectives Harris or Abraham at the Sheriff’s Homicide Bureau, Missing Persons Detail, at 323-890-5500. 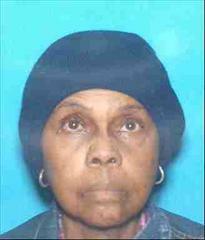 PHOTO of Patricia Nelson courtesy of the Los Angeles County Sheriff’s Department. PASADENA — Police, with the help of a vigilant resident, jailed three burglary suspects Tuesday and recovered stolen property including jewelry and a rare guitar stolen from a Pasadena home earlier in the day, officials said. Simon Soultanian, 34, of Pasadena, Byron Mendez, 23, of San Gabriel and Luis Martinez, 36, of Covina were booked on suspicion of residential burglary, Pasadena police Lt. Rodney Wallace said. Neighbors noticed a man going door to door shortly before 5 p.m. Tuesday in the 400 block of Oneida Drive, asking residents if they had a room to rent out, the lieutenant said. “One of the neighbors observed him go down the driveway of another resident’s house, toward the rear, and called police,” Wallace said. After providing police with a description of the suspicious man and the vehicle he drove off in, including a partial license plate number, police dispatchers were able to identify where the car was registered. Officers spotted in driving in the area of Washington Boulevard and Hill Avenue and pulled it over. Wallace said officers found property, including jewelry and a “rare guitar” inside the car that had been reported stolen from the home on Oneida Drive. Soultanian, Mendez and Martinez, who were inside the car, were then arrested. According to sheriff’s booking records, Soultanian and Mendez were being held in lieu of $50,000 bail pending arraignment, while Martinez was being held without bail. “This was definitely another success because of observant citizens,” Wallace said. ANGELES NATIONAL FOREST — Officials and friends resuscitated and rescued a man from the San Gabriel River after he jumped or fell in and landed on a rock, authorities said Tuesday. “Witnesses moved him a short distance, but were hampered in their efforts due to it being a very treacherous area of the river and that it was difficult to move the man as he weighed well over 300 pounds,” Parker said. The friends began performing CPR and called 9-1-1. U.S. Forest Service officials and a sheriff’s rescue helicopter happened to be in the area and arrived to help within minutes, Parker said. Sheriff’s paramedics were lowered from the helicopter and were able to resuscitate the victim, hoist him up into the aircraft and take him to a hospital, officials said. He was listed in stable condition Tuesday. LA CANADA FLINTRIDGE — California Highway Patrol officials will field extra officers on Angeles Crest Highway Saturday in an effort to combat motorcycle-related deaths and injuries, authorities said. The CHP recorded 10 motorcyclist deaths and 195 injuries on the highway between 2007 and 2009. The extra enforcement campaign is being funded by a grant from the California Office of Traffic Safety. ALHAMBRA — A 74-year-old man died Monday following a solo-car crash, police said. The man’s name was not available Tuesday pending positive identification and notification of family members, coroner’s officials said. Police described him as a Los Angeles resident. He was driving in the 2200 block of Fremont Avenue when, for reasons that remained under investigation, his car crashed into a wrought iron gate at a church, Alhambra police Sgt. Esther Rodriguez said. “When officers arrived, they discovered a 74-year-old male behind the wheel who had suffered head trauma but was breathing,” the sergeant said. Rescuers pulled the man from his damaged compact car and rushed him to a hospital where he died a short time later, officials said. Anyone with information on the crash is asked to call the Alhambra Police Department. MONTEBELLO — Police, sheriff’s and coroner’s officials are investigating after a body was found near the Whittier Narrows Recreation Area, officials said. The body was spotted and reported to police just before 10 a.m. Monday in some brush near Lincoln Avenue and San Gabriel Boulevard, Montebello police Lt. Rich Meadows said. The body, initially described only as male, was “severely decomposed,” Los Angeles County Department of Coroner Assistant Chief of Operations Ed Winter said. It was not immediately clear how old the dead person was, how he may have died or how long the body had been there, officials said. Montebello police, Los Angeles County sheriff’s and coroner’s officials are investigating, Meadows said. PICO RIVERA — Detectives have arrested a man on suspicion of murder in connection with a body found buried in a shallow grave in a Pico Rivera backyard last week, authorities confirmed Tuesday. Robert Charles Redd, 51, was being held in lieu of $1 million bail at the sheriff’s Pico Rivera Station, according to sheriff’s booking records. He appeared in Whittier Superior Court Tuesday, where his arraignment was postponed until Aug. 16. Redd was arrested on suspicion of murder Friday afternoon, according to sheriff’s officials and records, though authorities did not disclose the arrest until Tuesday. Additionally, Redd was accused of the special allegation of personally using a firearm in the killing, according to a felony complaint filed against him in Whittier Superior Court. Redd was being represented in court by Sean McDonald of the Los Angeles County Public Defender’s Office. The case is being prosecuted by Deputy District Attorney John Pomeroy. Redd was jailed on a lesser felony and held in lieu of $20,000 bail early Thursday morning, just hours after the body was discovered, before detectives decided to book him on suspicion of murder the following day. Friends and family members looking for a 19-year-old man they had not seen in several days went to a house they knew he frequented in the 8500 block of Pico Vista Road about 6:30 p.m. July 20 when they discovered human remains buried in a shallow grave in the backyard and called authorities, sheriff’s officials said in a written statement. A coroner’s special recovery team excavated the site and removed the body — later identified as 19-year-old Joseph Rubalcaba of Pico Rivera — Los Angeles County Department of Coroner Assistant Chief of Operations Ed Winter said. An autopsy determined that Rubalcaba died from a single gunshot wound to the head, officials said, and the death was ruled a homicide. Redd appeared in court Tuesday with salt-and-pepper hair and a mustache, his hands shackled at the waist of his orange jail jumpsuit. His face remained emotionless during the brief hearing. A motive in the killing has not been released. A memorial of candles, flowers and handwritten notes stood in front of the home Tuesday. A pickup truck neighbors said belonged to Redd remained in the driveway. Neighbors said Redd was known in the neighborhood as “Bob” and had lived in the home for less than a year. Several of them said a large number of different people constantly came and went from the home. Redd was often seen doing yardwork in his front yard. Many neighbors also said they would greet Redd in passing, but did not know him personally. A search of Los Angeles County court records show he has never before been convicted of a violent crime. If convicted as charged, Redd faces 25 years to life in prison.